The former Uttar Pradesh chief minister, whose gamble of backing the Samajwadi Party (SP) for the bypolls in Gorakhpur and Phulpur in the state paid rich dividends, said the idea was to teach the party a lesson. Chandigarh: Bahujan Samaj Party chief Mayawati today said the BJP may call for early Lok Sabha elections after its stunning defeat in the parliamentary bypolls in Uttar Pradesh and Bihar. 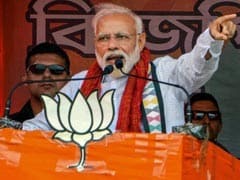 Addressing a rally here, she labelled the Narendra Modi government at the Centre a "dictatorship" and alleged that it had "surpassed" the Emergency imposed by the Congress government in 1975. Mayawati also accused the government of weakening democracy and making constitutional organisations and the media ineffectual. "In Uttar Pradesh, we wanted to teach the BJP a lesson and decided to support SP candidates so that it loses the seats earlier held by the chief minister and deputy chief minister... They have lost their sleep with this result," she said. The BJP lost out to the SP in both Gorakhpur and Phulpur, the former vacated by Chief Minister Yogi Adityanath and the latter by his Deputy Chief Minister Keshav Prasad Maurya when they were elected to the legislative council. The BJP also lost the Lok Sabha bypoll in Araria in Bihar. "With yesterday's result, there is great possibility that the BJP will advance the Lok Sabha polls, which are otherwise to be held in 2019," Mayawati said. The party, she added, may hold Lok Sabha polls along with assembly elections in seven-eight states. "They know that the more they delay, the more damaging it can be for them," she said at the rally. Referring to allegations of EVM tampering, she said only ballot papers should be used in the forthcoming elections. 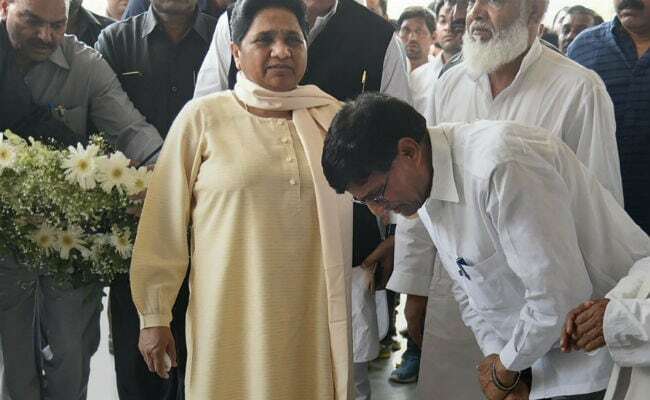 Urging people not to let political outfits like the BJP come to power again, the BSP chief said most people were disappointed with the performance of the BJP-led government at the Centre and warned them against "false and tempting poll promises". "Modi had given the slogan, 'Na khaunga, na khaane dunga' to eliminate corruption. But scams worth crore of rupees have surfaced involving people like Lalit Modi, Vijay Mallya and Nirav Modi, which proved that slogan hollow. 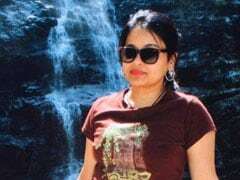 These corrupt people are enjoying their lives in foreign countries with the tacit support of the government," she alleged. Accusing the government of giving whatever black money it recovered from the corrupt to "capitalists", she said the money could have been used in containing inflation and for the benefit of poor people. The BSP chief also spoke out against the Hindutva approach of the RSS and its "casteist, narrow-minded and communal approach". People belonging to Dalits and weaker section who had been given higher positions by BJP government were working as "bonded labour", she alleged. Mayawati accused the BJP government of misusing agencies like the ED, CBI and the Income Tax Department against its opponents to make the country "opposition free". "Under the garb of curbing corruption and black money, they are targeting their political opponents. However, they are covering the corruption allegations being levelled against their own leaders," she said. She claimed that people were upset with demonetisation and GST, which were taken without proper preparation. "Problems like poverty, inflation prevail under their regime and economy of the country has also weakened. 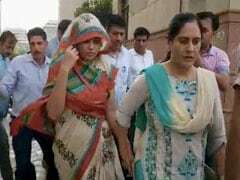 The voices of opposition in their own party can now also be heard," she said.